Captain Whyte, a leading marine accident analyst at LOC Group, an independent marine and engineering consultancy which provides services to the shipping and offshore energy industries, explains how electronic data is making accident investigation clearer by providing irrefutable evidence. "Fundamentally, situational awareness underpins everything we do", said Captain Whyte. "Whether that's crossing the road or driving ships at sea. We need to know where we are, what we're doing and where we are going. If a vessel has grounded or had a collision, then clearly the bridge crew must have lost their situational awareness." Action; the crew must take positive and early action to avoid a collision. However, when a collision or grounding does occur, Captain Whyte investigates the incident using electronic data, some of which is freely available, to establish the exact causes. It covers a number of ship and shore-based technologies that all significantly support and improve situational awareness and decision-making. These include but not limited to the Automatic Identification System (AIS), Electronic Chart Display and Information System (ECDIS), Integrated Bridge Systems/Integrated Navigation Systems (IBS/INS), Automatic Radar Plotting Aids (ARPA), Long Range Identification and Tracking (LRIT) systems, Vessel Traffic Service (VTS) and the Global Maritime Distress Safety System (GMDSS). All these sources produce data to determine situational awareness and that can also be analysed in any accident investigation. ECDIS is a digital navigational chart system which can be used instead of paper charts, making the navigator's workload easier with its automatic capabilities such as route planning, route monitoring, automatic ETA computation and electronic navigation chart updating. The electronic chart displays the vessel's 'real-time' position, course and speed. It also carries out different complex functions to help improve the bridge crew's 'situational awareness' and can meld together radar imagery, ship information, chart activity and AIS information all into one view. Using such tools, ECDIS can help to establish the best time-saving route planning within pre-defined 'safety corridors' although Captain Whyte cautions that a one-to-one check of the entire route from berth to berth must still be carried out. 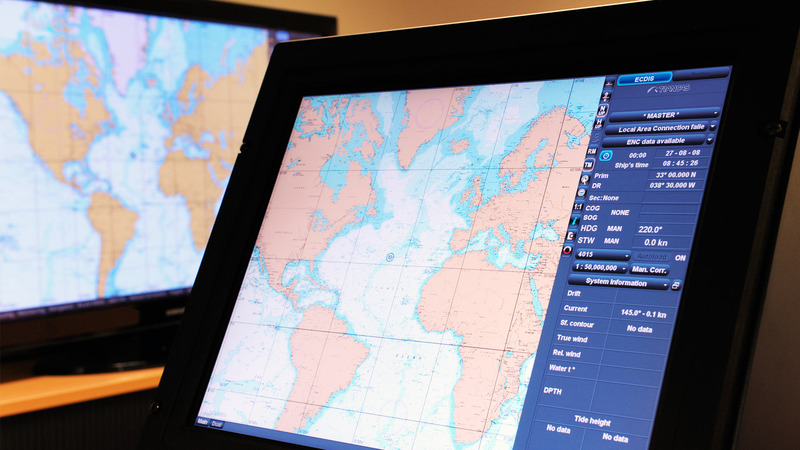 Furthermore, ECDIS can 'replay' the entire course navigated over the previous 12 hours, recording the entire voyage using 4-hourly time markers. The International Maritime Organisation (IMO) made the carriage of ECDIS mandatory under Safety of Life at Sea (SOLAS) Chapter V (Safety of Navigation) for most large vessels of 3000 GT or more, on 1 July 2018. 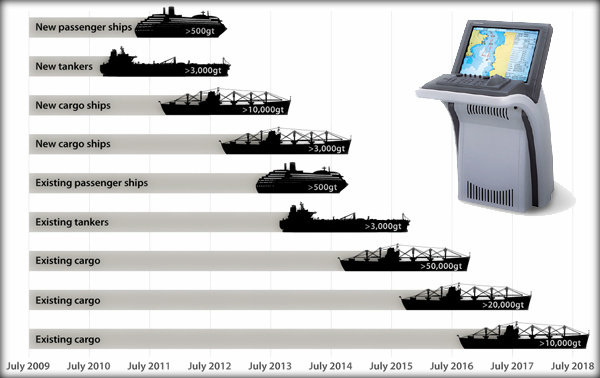 Looking ahead, Captain Whyte says that although only one third of the global fleet is currently required to use ECDIS, he envisages it spreading further and wider as shipowners see the benefits, regardless of vessel size. The IMO made the carriage of AIS mandatory under SOLAS V for all vessels of 300 GT or more engaged on international voyages from 31 December 2004. AIS is publicly broadcast via a VHF transponder device with the primary function of improving ship-to-ship and controlled water space 'situational awareness', such as major ports and traffic pinch-points like the Dover and Singapore Straits. AIS transmits dynamic position and movement data, voyage related facts and static information such as vessel details designed to enhance water space management within the VHF horizon. An unintended consequence of AIS has been the ability of organisations to globally harvest AIS transmissions using low-earth orbiting satellites and terrestrial receivers and share it with companies like LOC, who use it for investigation purposes. 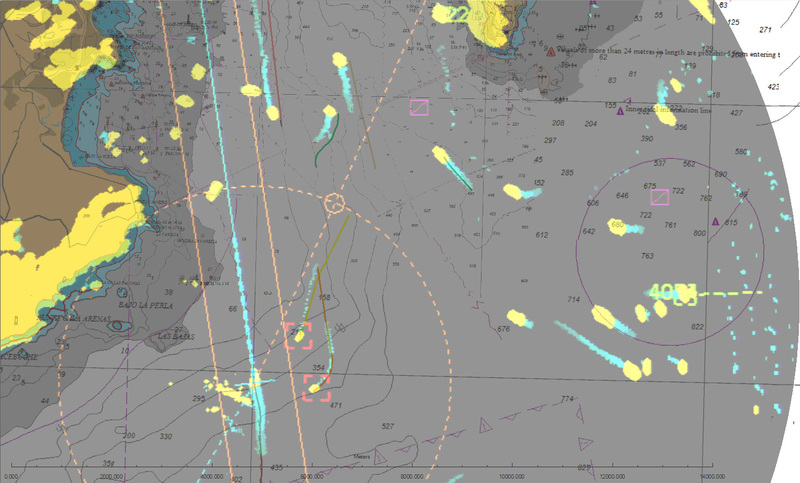 Using an electronic navigational chart within ECDIS, the OOW can monitor the safety corridor, safety contours, their own vessel GPS and its vector, any other vessels AIS and vector, the tide vectors and exploit the customizable menu. Captain Whyte adds that another valuable source of navigation investigation data is the vessel's Voyage Data Recorder (VDR) - the 'black box' - which is an IMO requirement for passenger ships and vessels over 3000 GT. VDR is a collection and storage device, recording on a continuous loop, and records the command and control inputs of the vessel. Software used for the reconstruction of an incident of the 'black box' and other electronic data is highly valued by investigators, lawyers and insurance interests. A traditional casualty investigation might have involved; attending the casualty, interviewing the crew and taking statements, collecting contemporaneous (and digital) evidence, determining the 'angle of blow', establishing the 'type and location of damage' in groundings - understanding which way the vessel was going, providing documentation (including digital evidence) and engaging experts if there's no agreement and ultimately proceeding to trial. Today, modern accident analysis means conducting an investigation using all the electronic evidence, validating any contemporaneous evidence and assessing any incontrovertible evidence which leads to an agreed set of facts and an understanding of the causation. This means that the parties involved can agree liability and costs, often without resorting to costly litigation and trial. In addition, LOC has two further specialist tools which support its accident investigation analysis, by importing the electronic navigational data to reconstruct the grounding or collision scenario or modelling the 'what-if' options with the meteorological conditions at the time of the casualty. The first is MADAS (Marine Accident Data Analysis Suite) which was developed by Avenca Ltd, for the UK's Maritime Accident Investigation Bureau and the US National Transport Safety Board. MADAS can display multiple vessel tracks, extracting and using the AIS and/or VDR data, it can use the audio track recordings of the crew at the bridge and the bridge wings during the incident. It can display different charts and overlays, and media including radar and CCTV - to show in 2-D the unfolding scenario, using precise vessel shapes, so the investigator can determine causation. BMT have developed advanced manoeuvring assessment and simulation capabilities to aid in port design and crew training. REMBRANDT is a real and fast time ship-handling and manoeuvring simulator. The second tool used by LOC for deciphering electronic intelligence is the 3-D programme REMBRANT (Real-time Manoeuvring, Berthing and Training) which was developed by BMT, which enables the user to build a 3-D imagery of the 2-D analysis. This tool allows LOC to show a client how the incident looked from the bridge or birds-eye, whether by day or night, including modelling the 'what if' actions to avoid the incident. Captain Whyte concludes that: "As I have already said, navigation is not about knowing where you are, but much more about knowing where you should not be, and still, too often ships end up where they should not be, sometimes with dangerous and hazardous consequences for all in the vicinity." "But, by using electronic data and specialist tools we can now decipher the incontrovertible electronic evidence to understand exactly what happened, and if necessary, what actions would have prevented the incident." Captain Whyte adds that: "By using the electronic data which is now available in any investigation, we can clearly see how the incident proceeded, and can then reach a conclusion much faster and cheaper for all those involved."